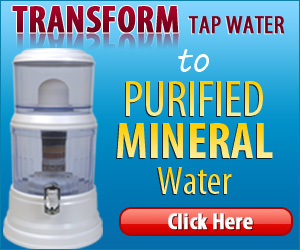 Having access to pure, contaminate-free, great tasting water is not a luxury; it’s a necessity. Recent media reports of e-Coli and trace amounts of medication in tap water are cause for concern. Fortunately, you can ensure that your family has access to great tasting and bacteria-free H2O with a water filtration system. There are a lot of options when it comes to filtered water. One of the simplest ways to have it in your home is to invest in a counter-top model from Zen Water. This leading manufacturer of water filtration systems has lots of models to choose from to suit every family. How Much Water Does Your Family Drink? Zen Water Systems has four models to choose from depending on the amount of water your family drinks. Vitality 4-Gallon – this size is perfect for singles, couples or a small family. It is very affordable at just under $100. Active 8 Gallon – this unit will provide all the water a large family needs, including the pets and costs around $118. Pulse 4 Gallon – this unit is designed to replace the heavy bottles delivered by a water service and will fit on most commercial water cooler stands making it a steal at $98. All the Zen Water counter-top water filters use the multi-step filtration system with one of the smallest filters on the market at .3 microns. Tap water is first filtered past the ceramic dome which traps large contaminates. The water is then filtered through silver impregnated granulated activated carbon, which strips unpleasant odors, tastes and hundreds of chemical solvents and the silver kills off bacteria. Once the water has been purified it is strained through mineral sand to further remove any lingering contaminates before it passes through far infrared balls. Long used in alternative medicine, these stones ionize the water (with negative ions which are good for our bodies) and are believed to increase enzyme activity in our digestive tract to keep that system of the body humming along. The last two stages of filtration used by the Zen Water Countertop models is to completely absorb heavy metal (like lead) out of your water with zeolite, a porous rock created by volcanic rock and ash. This raises the pH level of the water to be more alkaline than acid. Finally, the water is dispensed through a magnetic tap, which supports a healthy endocrine system and might even help reduce arthritis pain and blood pressure. All the models come with a set of filters, and a magnetizing dispenser accept for the Pulse, which has a spigot since it is on a water cooler system. The taste is so good, some reviewers drinking more water without realizing it. All reviews that I could find unanimously agreed that the water looked and tasted clean and pure. Many reviewers choose the Zen Water models because of the extensive filtration process and the alkalizing process the water goes through to raise the pH level. It should be noted that many of the reviews on the company website and from other online retailers mentioned that assembly is time-consuming and warned other potential buyers not to take any shortcuts during the initial set up. So be sure to check the manual & follow the instructions. One reviewer’s chief complaint was not being able to buy the replacement filters on Amazon, which only offers filters from Purenex. He advised consumers to purchase the Zen Water brand filters from the company website because the more generic brand is not as good. You can visit the website at Zen Water Systems. One of the great things about reading reviews is that you can often find answers to problems you may have with a product. For instance, one review advised putting the washer on the outside of the faucet to solve the problem of leaks. Another review assured buyers that the water would filter faster after the first few uses and to keep the ceramic dome clean for a speedier process. If you are ready to add a Zen Water Countertop filtration system to your home there are a few things to consider before you buy. • Size – how large of a unit should I get. The 4-gallon size units are good for small families, with young children. If you are a family of 4 or more and intend to share the water with pets, you will need the Rejuvenate 6-gallon filtration system or the Active 8-gallon size. • Space – these units take up quite a bit of space, so determine where you are going to keep your Zen Water filter. All the countertop units can be used without the base to make them more refrigerator-friendly. The Pulse will fit most any commercial water cooler. • Set Up and Maintenance – you will need to invest some time in the initial set up of the system. However, it is a gravity system, which does not require electricity or calling a plumber to install it. Routinely scrubbing the ceramic dome, storage tanks and replacing the filters is a must. Cleaning of the dome and tanks should be done every one to two months and filters should be replaced twice a year (and purchased directly from Zen Water’s website). With so many options to suit any size family, a sophisticated and extremely efficient filtration system the Zen Water filters are a sensible choice. The addition of an alkalizing step to make your water healthier is a bonus, too. With a simple set up, long lasting filters and great customer service a Zen Water Countertop Water Filtration system is the best buy!